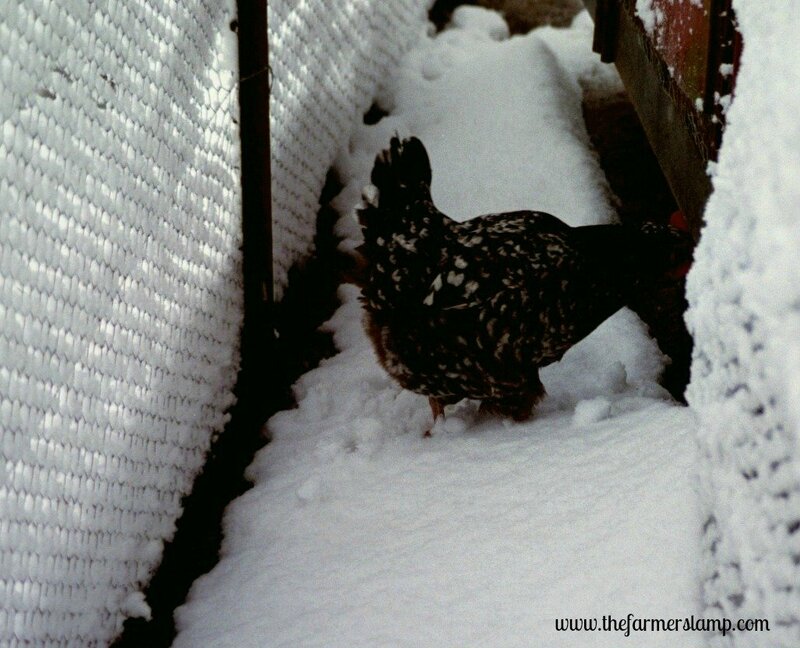 Getting your chickens ready for winter is one of the most necessary preparations you make as chicken keepers. Even in milder climates, you have to prepare for a change in the weather of some sort. These preparations don’t have to be overwhelming. 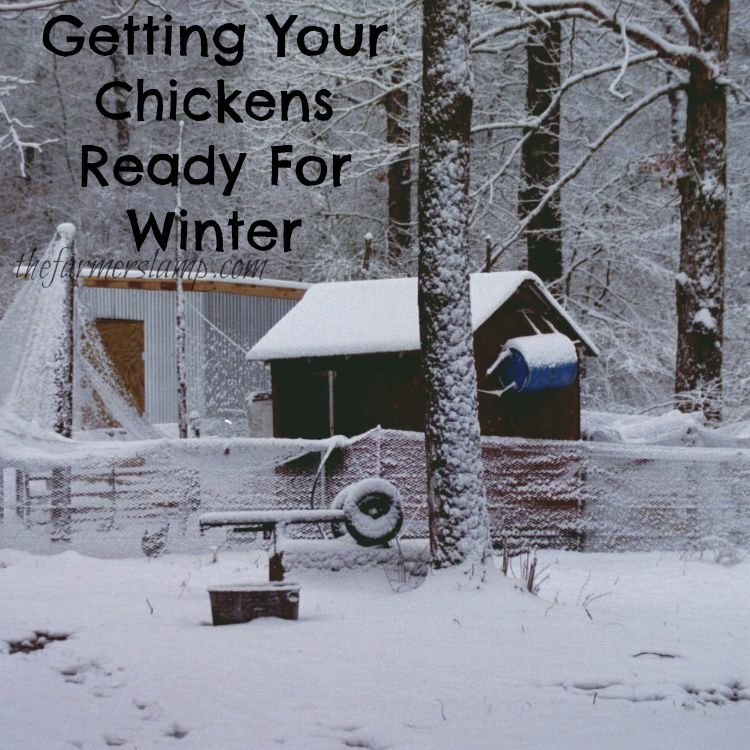 We’ll take a good look at the basic steps necessary in getting your chickens ready for winter. With the coming of fall, homesteaders focus on preserving the harvest, winterizing our garden beds, double checking our firewood supply, and all the other necessary winter preparations. 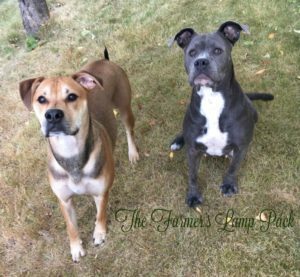 If you’ve had a flock for any length of time, these tips will probably be something you already do. One thing I’ve learned is that no matter how much we know, how much we grow, we can always learn more from one another. If the roof leaks, fix it. If you have problems with other critters getting in the yard or the coop, make those repairs too. Your coop shouldn’t be airtight, especially the larger your flock is. Chicken manure, respirations, and body heat all leave moisture in the air. All that methane gas needs a way of escape. We have ventilation in both ends of the roof. If your coop door is hardware wire, you may want to cover it with something like black plastic. This will stop any rain or wind from swooping in on the birds. While the fall temps are still moderate, I like to use a pressure washer inside and out. I do it before it gets cold so the coop will dry well. When it’s good and dry, I pour hydrogen peroxide on the roost to kill any mites who might be living there. (1) It helps to block the wind that could come through the cracks of the floor. Since the manure puts off heat, I like to leave it in the coop over winter. (2) Having the hay in there makes it easier to clean out in the spring. Over the winter, the chickens scratch through it in the early morning/late evening introducing air into the mixture which helps break down microorganisms. These microorganisms prepare the hay for composting. We like all things that serve more than one purpose, right? Once these are all done, I give the chickens a gallon of water with 2 Tablespoons of raw, organic apple cider vinegar. I also sprinkle 3 Tablespoons of diatomaceous earth over their feed as well as a 1 tablespoon organic garlic powder. I do this until they have had it for a full 7 days. They drink it like candy for the first few days so I have to give them a new gallon every day. Boosting their immune system and killing any parasites in their tummies is an important step in getting chickens ready for winter. Some people don’t think this works, but we’ve done this for years and have seen real results with it. We’ll continue to do it for our animals. Now if you’re a hobby farmer, skip this section. We’re sustenance farmers, we raise our own food. It’s always a good idea to cull any birds who aren’t productive. By this time of the year, you’ve already culled extra roosters, hens that aren’t laying, and any bird that doesn’t meet the requirements you set for your homestead. As part of getting our chickens ready for winter, we do a double check for those who don’t pull their weight. I like to free range my chickens in the winter, except on the nastiest of days. Making sure your chickens have plenty to scratch through will not only keep them healthy and happy but also keep them productive. I give them greens from the garden, squash from storage, and any other kitchen scraps I can. Some people don’t like the idea of using lights for heat in the winter. We have a rule for our homestead. If it’s below 28°, we use a heat lamp unless the flock is large enough when winter sets. A flock large enough to fill the roost will put off enough body heat, respirations, and excretions to keep them from being too cold. The number of birds necessary to achieve this depends on the size and condition of your coop. We don’t use the self-watering system in the winter since the lines can freeze. Frozen lines would make water unavailable to the birds, so I put gallon waterers inside the coop when it is freezing outdoors. This also keeps me from having to thaw their water jugs every day. As caretakers of our animals, preparing them for each season is all in a day’s work. Hard work? Yes! But fun and rewarding, as you well know. Stay warm and dry this winter. 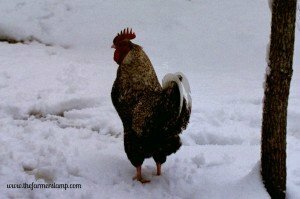 What do you do about getting your chickens ready for winter? Share your tips and experience with us in the comments. I have found a heated dog bowl works great in the winter for the chickens! Good idea, Jess. Thanks for sharing with us.